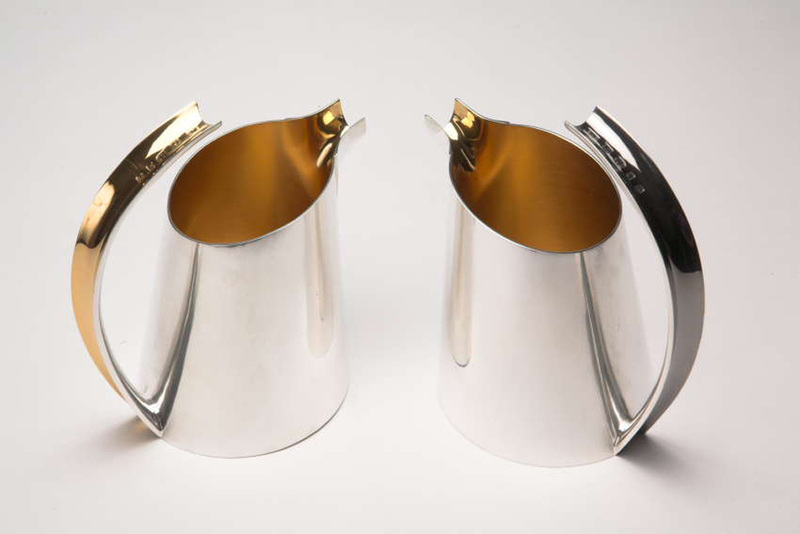 PAIR OF CREAMER JUGS. Sterling silver. Yellow and black Gilding. Hallmark on handle. Ht. to top of handle 12.5 cm, diam. of base 8.0 cm.